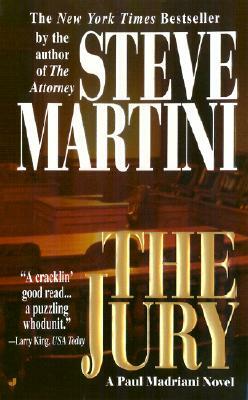 The Attorney, which marked the return of Steve Martini's lawyer-sleuth Paul Madriani, was hailed for its -well-observed courtroom maneuverings- (The Christian Science Monitor) and -crisp dialogue and tart observations- (Publishers Weekly). Now Martini delivers the most daunting capital case of Madriani's career. Paul Madriani has ample reason to suspect he's representing a guilty man. Dr. David Crone, a respected medical researcher and principal in mapping the human genome, is charged with the murder of a young colleague: twenty-six-year-old Kalista Jordan, an African-American research physician whose body washed up on a beach in San Diego Bay. Forensic evidence links her murder with material in Crone's garage. Crone had both opportunity and motive: Kalista had recently ended their affair, and may have been deserting him professionally as well, moving on to a rival genetic research facility. However, when a key witness for the prosecution dies unexpectedly, leaving an incriminating note behind, Crone's innocence seems confirmed-until Madriani hits upon a potentially damning loose end.